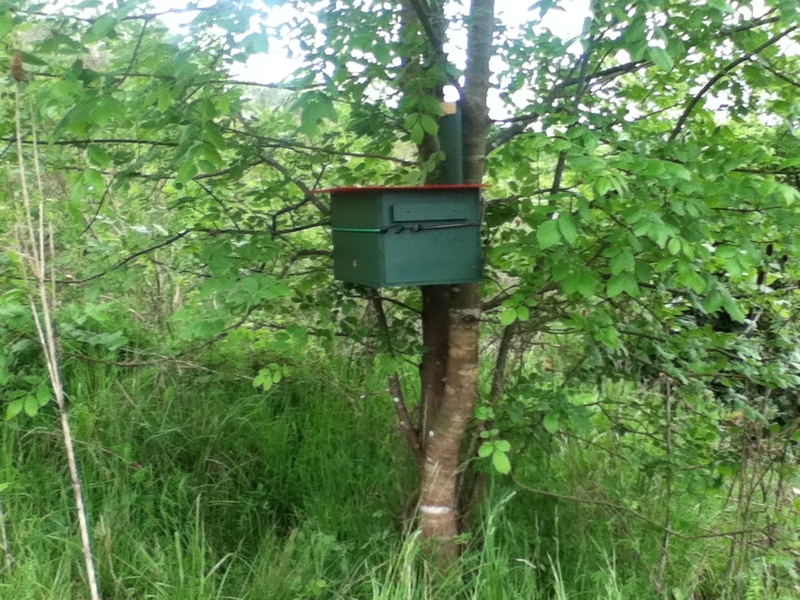 I had hung two bait hives in a state park, admittedly without prior permission, but up high, in no one’s way. This was a spot where a tall bee tree was located. Each week I would visit, check the box and dab a little lemon grass oil on the outside near the entrance. I had been doing that for three weeks and on the fourth week the hives were gone. I was astonished. Who could have taken them? Only another beekeeper would really want them, but the size was for my Warre Hive and Log hive, not a common ‘Lang.’ Would vandals completely remove them? They’re a little heavy and you need a ladder to reach up to them. I walked around and around trying to puzzle it out when I noticed a business card laying on the ground. It had the name of a park ranger. I emailed him and, you guessed it, HE removed the hives. It turns out that you (me) are not allowed to hang bait hives in a state park. Bait hive in small tree east of feral bee hive in state park. Maybe a better location because it’s more hidden. The other bait hive went to a private party. I had talked to a pest control person, giving him my solarbeez.com business card and asking him to tell me of any bee swarms that he might be called for. He told me of a bee tree in a small town that I was familiar with. 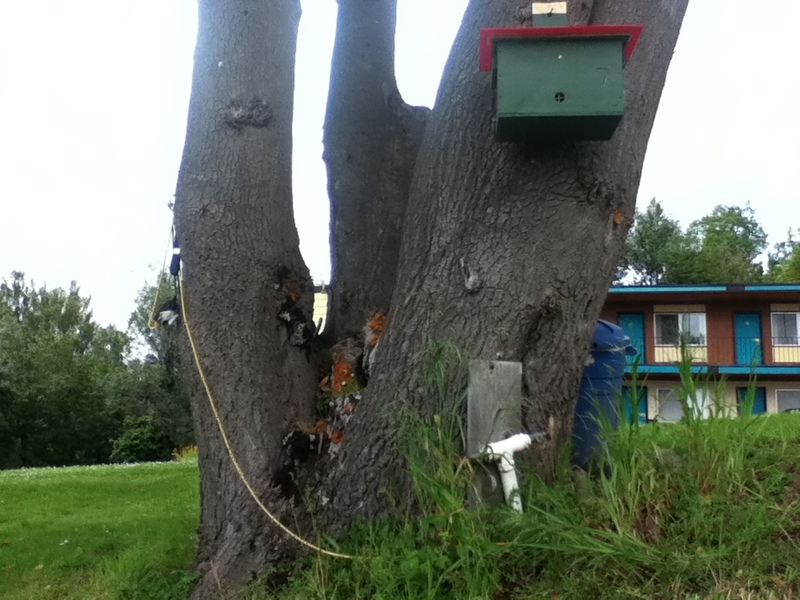 I contacted the owner who let me hang a bait hive on the very tree where the bees were flying in and out. Feral Bee Tree on Private Land. Bees loaded with pollen. Wife and I standing near the flight path with no unfriendly bee problems. I would really, really like to get a swarm from this tree. My log hive is eagerly awaiting some bees and I’m eagerly anxious to accommodate. Footnote: The bees from this tree are now populating my Bee Beard log hive!